In the context of finance markets, a trading system is a method of trading where technical analysis is used to define buy signals and sell signals. Technical analysis relay on historical data to predict future outcomes. Technical analysis is not a science and successfully employing technical analysis to make long-term profits will typically require both experience and a deep understanding of the strengths and weaknesses of various technical analysis approaches and trading systems. Technical analysis is used for a wide range of financial instruments, but a trading system designed for certain instruments may not work as well for others, and vice versa. Be critical when you assess the strengths and weaknesses of a trading system. If someone claims that a certain trading system will ensure 100% risk-free investments, be super suspicious. Have clearly defined goals with your trading before you seek out a trading system. 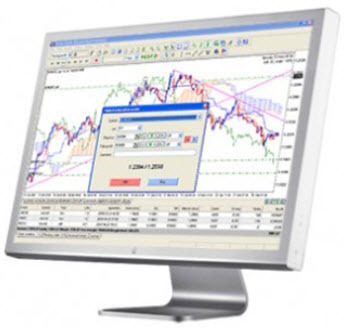 Make sure that your trading system can be implemented in the broker platform you want to use for your trading. Put energy into defining your trading plan. Test your trading system using play money to see how it works. Learn about entry and exit points. Assess your own adversity to risk. Subconscious ideas can wreck havoc with our utilization of a trading system. A common fallacy: When I make a profit it is because the trading system is great and I am an excellent trader. When I make a loss, it is because markets are crazy right now and no one could have predicted that outcome. Carefully track your losses and gains. You want to be profitable long-term, regardless of temporary up and down swings. Not tracking your outcome can make you jump to the wrong conclusions in either direction. Practice your patients. Sometimes sitting on your hands is actually the best course of action, no matter how frustrating. Before you try a new technique, make a habit of explaining it to someone who doesn’t know much about it. Can you explain it in a way that makes sense? Or does it sound like a hotchpotch of sunshine, farts, unicorn horns and wishful thinking when you actually have to step out of the technical analysis echo-chamber and explain the method to a civilian?